A group of children in El Salvador get ready to play a game of soccer. Blanca, the mother of a sponsored child in Guatemala, proudly wears medals she has won as a runner. It’s been my lifelong desire to learn a martial art and to master a self-defense practice so I can walk through this world confident, respectful and aware of how I can control my actions. There exists a resiliency that I believe sports can teach us. My intent in enrolling my son and me in karate was to help my son hone his voice and body. I also don’t want him to allow shyness to negatively influence his life choices and potential success, as I did. In class, as in many places of the world, there are boys and girls we’ve seen as examples. A 4-year-old girl helped me find my voice and I now have louder “kiais” (shouts). A young woman has shown me how to teach by the way she celebrates our efforts, yet she also expects more next class. Sports plays an important role for many in the Unbound community. 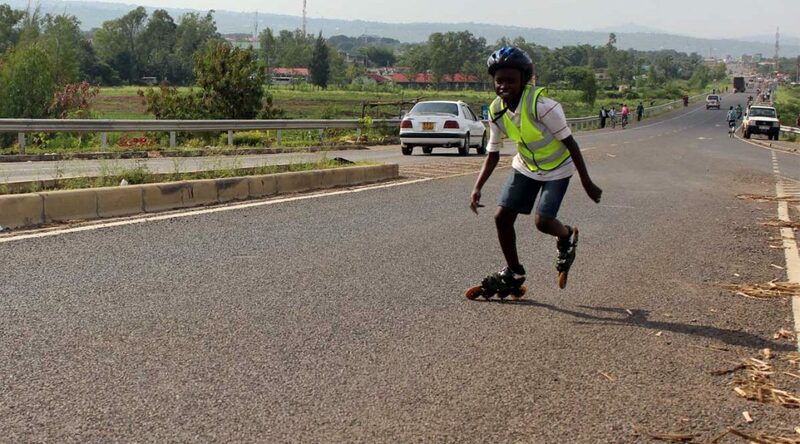 I enjoyed reading the story of now 13-year-old sponsored child James and his father, from Kenya, who worked to overcome financial and other challenges as James pursued his speed skating dreams. 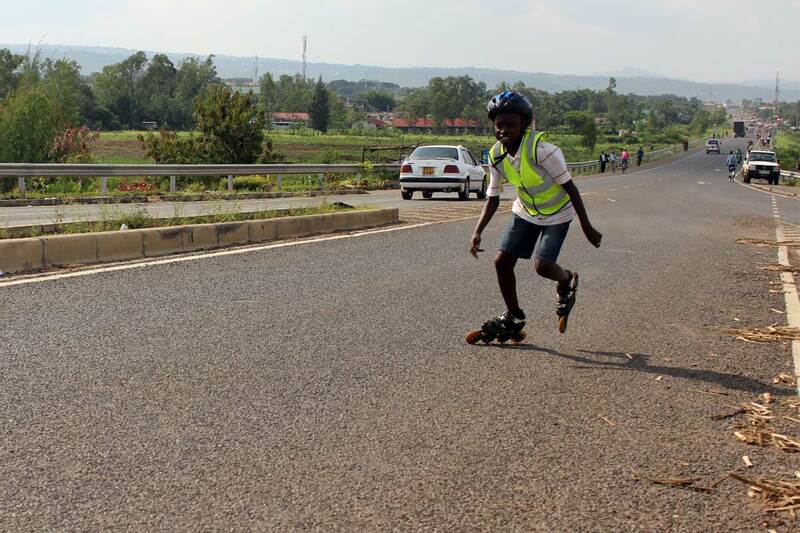 James, a sponsored child from Kenya, practices speed skating in his community. This resiliency and determination that we find through overcoming the challenge of not knowing how to perform a feat, or properly step or move, is what I believe James demonstrated. We discover a toughness within ourselves when we refuse to let the skates or the bumps and bruises prevent us from pushing forward. As I parent and see my son grow in his karate practice, I have come to understand that those early failures and setbacks will help him learn to quickly recover and push beyond his expectations. We must learn to fail and recover quickly from those failures. There exist many benefits to sports to increase our fitness, coordination and balance. However endless the lessons, sport teaches us about commitment and how to maintain consistent practices to succeed. Our karate practice is consistent with my values and reflects the inherent worth of our efforts. It reminds us we will never be perfect, but we can give our best and learn from our defeats. 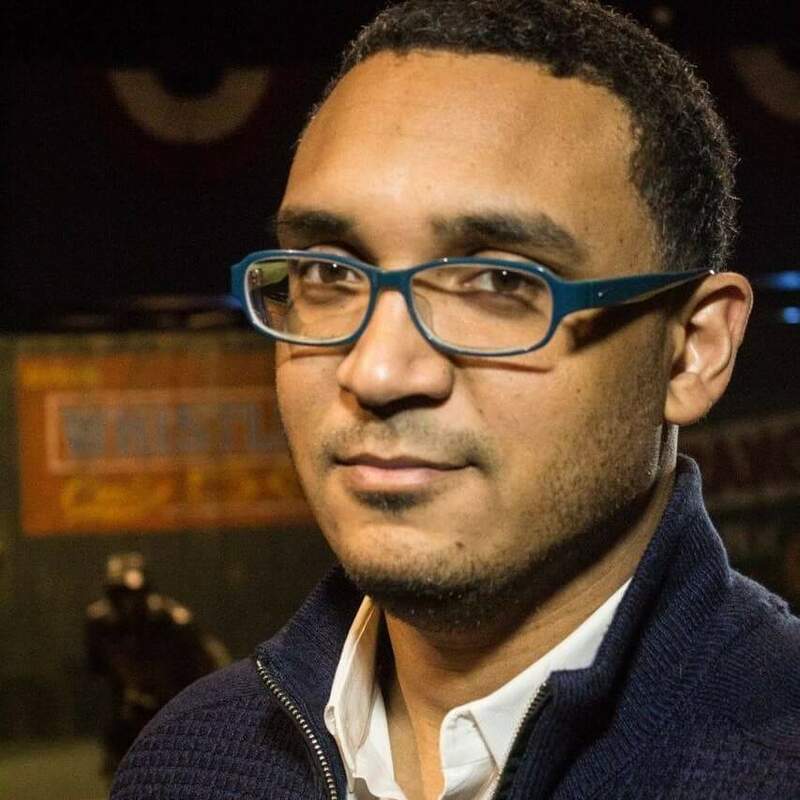 Gustavo’s goal has always been to better educate himself about the complexities of being from the Dominican Republic, as well as how to best share the stories, joys and struggles of the island and its people. His bachelor’s and master’s degrees in English and Spanish and romance languages and literature have helped shape his poetry and career choices. He has worked with Unbound since 2014. Along with a love for writing, Gustavo is pursuing his passion for martial arts, as he balances the blessings and responsibilities of fatherhood.